If you experience pain at the end of a long day, or chronically suffer from pain, get excited because you have a new weapon in the fight against both. 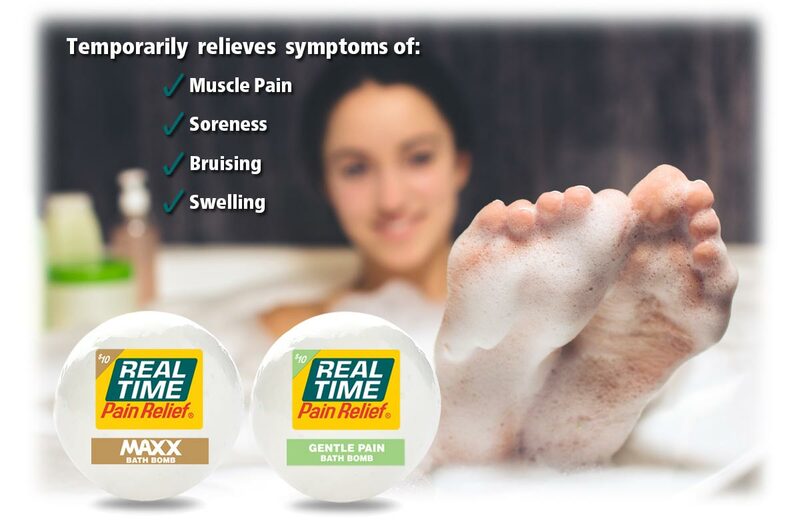 The BATH Bombs from Real Time Pain Relief give you the ability to experience the same relief that you enjoy from applications of Real Time Pain Relief’s lotions and creams simply by taking a bath. Real Time Pain Relief BATH Bombs contain many of the same key Nature’s Ingredients found in the Topical Pain Relief that Real Time Pain Relief has shared with you for the last 20 years, but uniquely allow you to take these formulas for a deep soak. The result is fast pain relief from head-to-toe. GENTLE Relief BATH Bomb is specifically formulated for those with sensitive skin. This formula is infused with Peppermint Extract rather than Peppermint Oil so that no cooling sensations are created on the skin – just calming whole body relief from aches and pain. Recommended for those who have sensitive skin. Relief You Feel Good about Using! 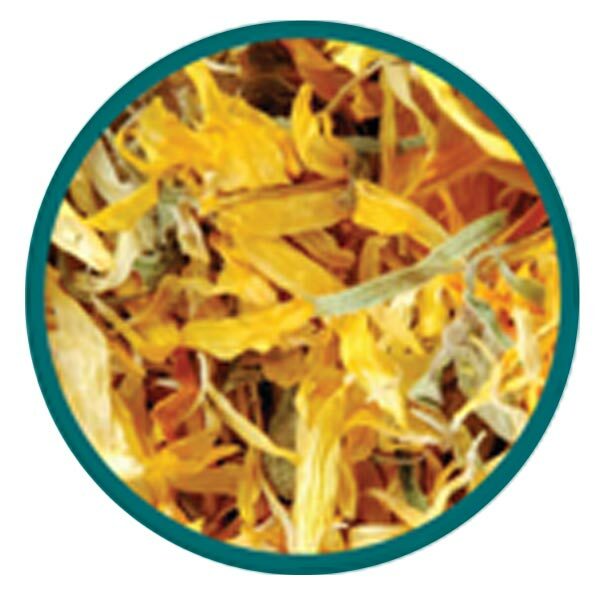 Infused with 12 of Nature’s Ingredients including: Arnica, Epsom Salt, Willow Bark, Sunflower Oil, and Rosemary, Real Time Pain Relief BATH Bombs deliver a pleasant aroma and powerful relief. 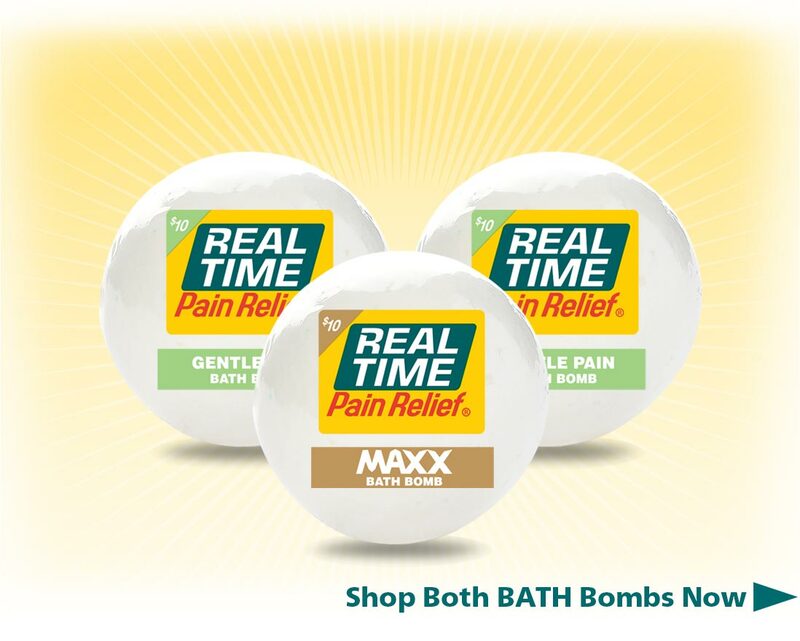 Real Time Pain Relief BATH Bombs will fill your bathtub with the same soft, delicious smell that you love from other Real Time Pain Relief lotions and creams. "I’ve loved your pain cream for a long time, but I always wished that you had an Epsom salt for baths on my especially painful days. I’m so glad that you do now!!! Getting some of these bath bombs for me and my mom today!" "I took a bath in the new bombs, and they are bomb! They smell amazing and they take the pain in my aching muscles away!" 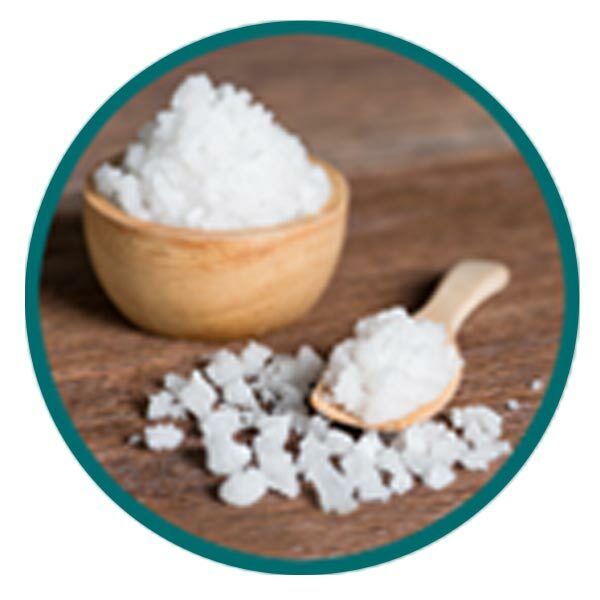 Also known as Magnesium Sulfate, this ingredient is often used as a soaking aid for minor sprains or bruises, and it is believed to help nourish sore muscles. 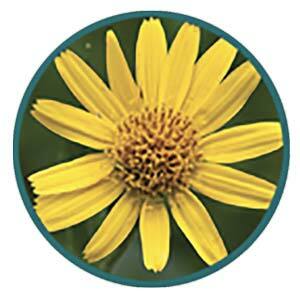 This flower was used for medicinal purposes in ancient Greece, Rome, Middle East, and many Indian cultures. It is soothing and may help to moisturize dry, chapped skin and lips. 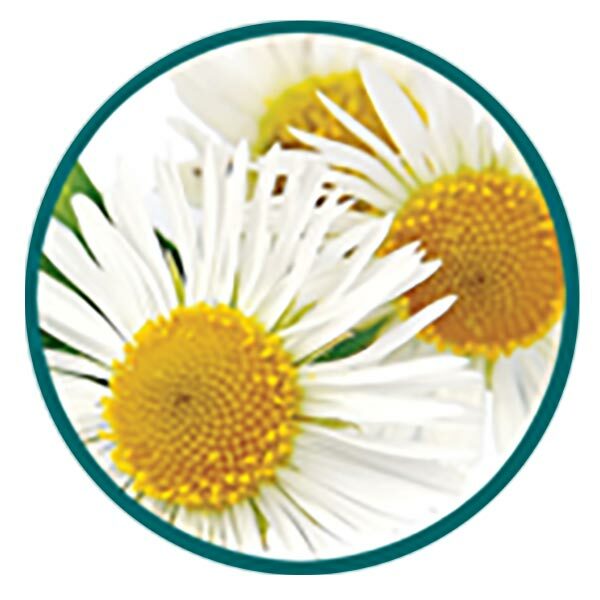 This white, daisy-like flower has been revered for centuries because of its therapeutic value and ability to soothe discomfort. Ancient Egyptians treasured it above all other herbs because of its medicinal properties, and ancient Greek physicians often prescribed it for their patients. 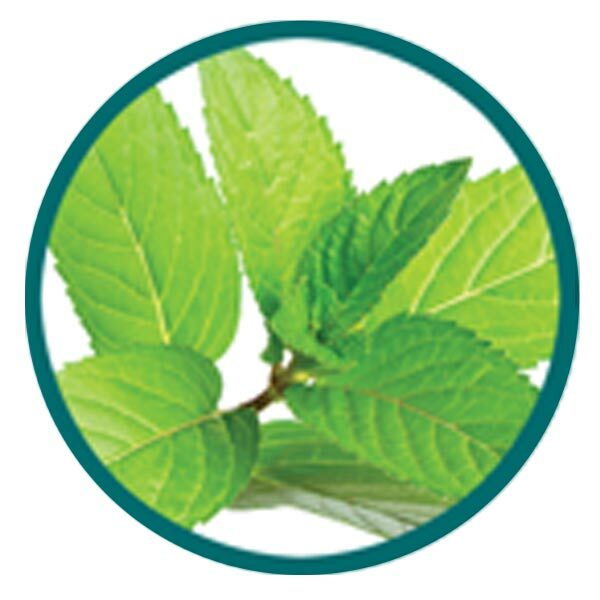 Derived from the peppermint plant, this ingredient can help to promote relaxation. When used topically, it leaves a refreshing feeling on the skin without the topical cooling effect. 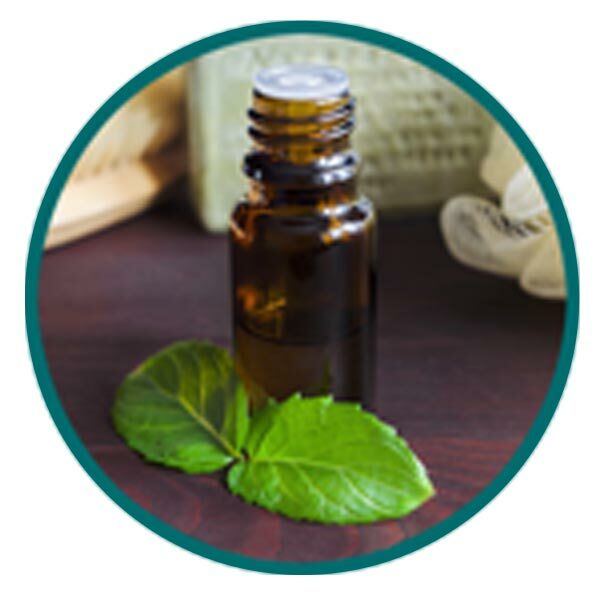 Peppermint Oil delivers a cooling and refreshing sensation to the skin and can help to promote relaxation. *Gentle BATH Bomb contains Peppermint Extract, which has no cooling effect on the skin. Maxx BATH Bomb contains Peppermint Oil, which will leave a topical cooling sensation on your skin. What Type of Pain are Real Time Pain Relief BATH Bombs Effective on? What Ingredients are Inside of Pain Relief BATH Bombs? 1. Fill bathtub with hot water that is a comfortable temperature for you. 2. While the tub is still filling, drop Real Time Pain Relief BATH Bomb in the tub for quick fizzing dispersion. 3. Soak until you begin to feel the relaxing pain relief! 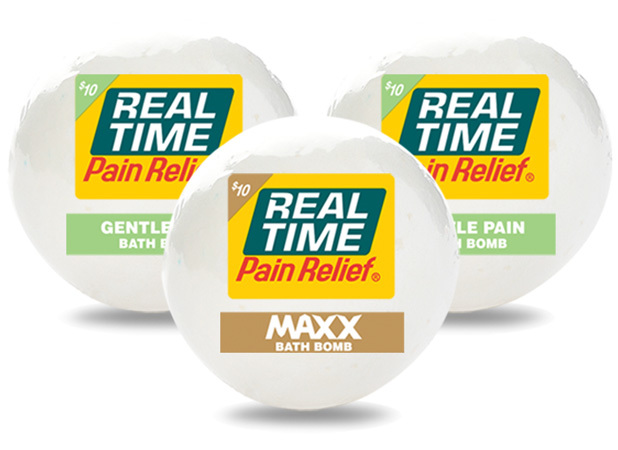 Though Real Time Pain Relief BATH Bombs have been formulated with just the right amount of oil to keep your bathtub from becoming slippery, as with adding any oil to your bath, additional caution should be used to ensure that you do not slip in the tub.